Learntec 2012 was a surprising success for MATURE. Both the knowledge maturing model and the tools, especially the people tagging solution, has attracted considerable interest by fair visitors. MATURE has been able to show well-grounded and practically relevant approaches to knowledge management and learning that set a refreshing antipole to many products and services offered by other exhibitors: while these solutions often appear to be stuck in the last decade, the discussions and reactions from visitors have shown that MATURE has been able to incorporate the lessons learnt from previous approaches. 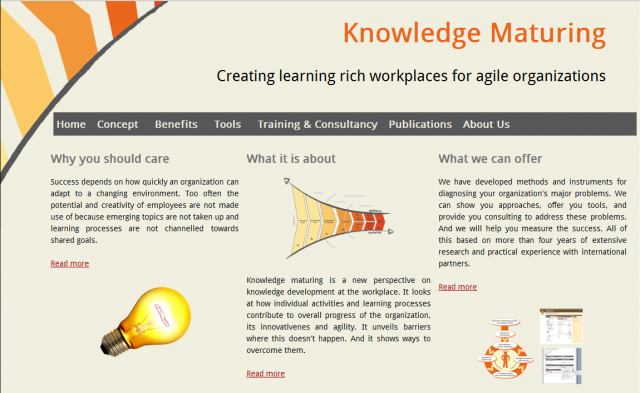 Right for the LearnTec 2012, we have launched the first version of our knowledge-maturing.com web site that presents the offerings of our project to interested companies and other organizations. 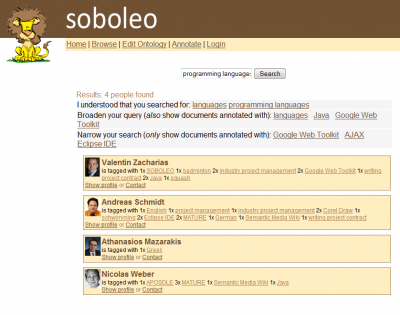 It shows our offering in terms of technology solutions (most of which are or will be available as open source), consulting approaches and training offerings as well as publications for the scientific community.